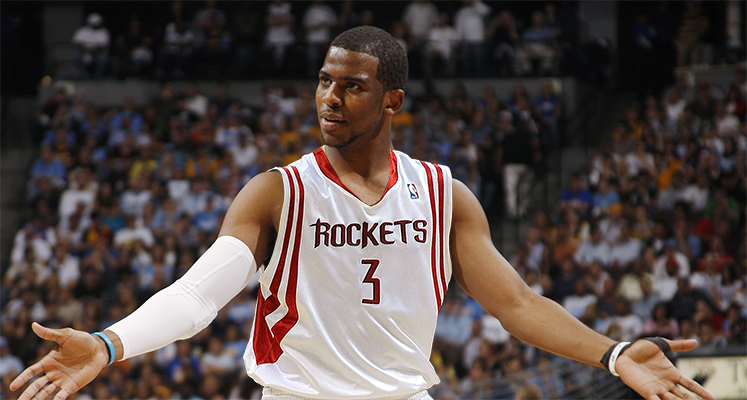 Chris Paul was drafted by the New Orlean Hornets in 2005. Then owner, George Shinn, went through a life changing surgery and decided that it was no long his best interest. That's one side of the story. The other side was that in 2010, the team was about to default to due losses amounting to $83 million. The NBA bought the team and sold the team to Saints owner Tom Benson in 2012. Short story: Donald Sterling told his ex-girlfriend not to bring colored friends to the games over the phone. That conversation was leaked to social media. He was banned from games and was forced to sell the team. Former Microsoft CEO Steve Balmer won the bid. The Los Angeles Clippers signed and traded him to the Houston Rockets. Days later, new of the sale came out. Would you think owners are not excited to have Chris Paul on their team and are willing to sell or is it just pure coincidence? The Raptors kept pace for the first 3 quarters until the Cavaliers widened the lead. The Cavaliers now have a commanding 3-0 lead and will have a chance to sweep the Raptors. Brandon Roy had a legendary run for 6 seasons with the Portland Trail Blazers before being sidelined by injuries. He now coaches Nathan Hale High School Mens Basketball team that currently produced #1 HS player in the nation Michael Porter Jr.
With none of the big players in the basketball shoe market such as Nike, Adidas and Under Armour wanting to license Lavar Ball's, Big Baller Brand for Lonzo Ball's rookie year in the NBA, the family has decided to release a shoe on their own and someone might have to tell them that it's a bit overpriced for someone who has not proven anything in the pros. We'd understand if he released something around the $99-$159 ball park to get things started and to test the market. 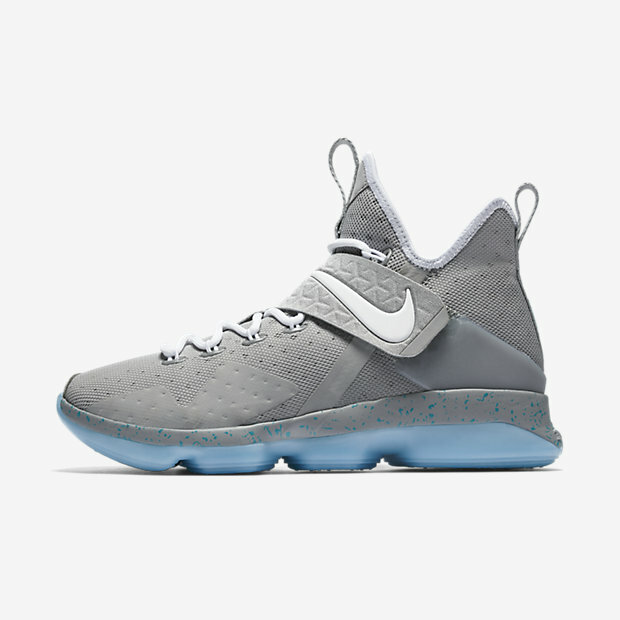 To give a perspective on how things are priced, the Lebron XIV is currently priced at US$175. Is this worth it? We'll surely know by the end of the year if their friends and family will buy these footwear at a premium price. Now, can someone heal that well that quickly or was he not in so much pain in game 1? Who knows. However, another theory has been going around: His twin brother, Marcus Morris, has been playing in his place. Man, Markieff's ankle sure healed quick -- didn't it? What the Heck is Lavar Ball doing? 1. His eldest son, Lonzo, is better than the current Steph Curry. With Curry's recent slump, he could make a case but it will be very difficult for him to prove. 2. He could have beaten Michael Jordan. Now, some may say he's delusional, insane or just plainly smart. When he talks about raising his kids and his love for them, that's when it gets real. However, when Markelle Fultz is now being projected as #1 pick this June and other guys in the mix are Josh Jackson, D'Aaron Fox, Tj Leaf, Dennis Smith Jr., Lonzo Balls chances seem to slim down. There's a good chance that Lonzo will go to #2. Then there's also the play of Gelo Ball. His poor play and shooting has been blamed for the losses of Chino Hills. Many would agree that much of his offense was due to the high IQ, defense and athleticism of Lonzo and his game did not evolve to fill up the gap his brother has left. Yes, he may have scored 29 points against Mater Dei but it didnt seem like a dominant performance and perhaps mostly invisible during the game. He did improve in their loss to Bishop Montgomery but in a rematch of last year's regionals, more is expected from him if he looks to be one and done in UCLA. With his play, no one sees him doing well in college, let alone, starting for the Bruins. Either way, with all the limelight Lavar Ball is getting, maybe it's also helping his kids push their games as more people target them or maybe he's just reminding coaches how good the Ball brothers are so their standings get up a bit more. We surely hope he's just helping his kids and his statements are just for a push. Back then, rivals will be rivals and you will not hear much from teams speaking about players on other teams. In this social media age and culture, players like Lebron do take the time to congratulate his fellow NBA player for reaching such a milestone. Tis' the season of giving but the slots are limited and Shaq does not deserve one in the Miami Heat rafters. Let's be real. Most of the damage Shaq has done was when he was with the LA Lakers. There are other bigger contributors than him such as Udonis Haslem or Dan Majerle. Yes, the Heat won a championship with him and I cannot say they would have done so without his presence in the middle. However, the only jerseys up there are Tim Hardaway's and Alonzo Mourning's. Is Shaq's career as illustrious as their's while in a Heat jersey? Dwayne Wade's #3 will surely be retired and if he wins another championship with Chicago(though unlikely), should they retire his number there too? The Orlando Magic deserve to retire his number more than the Heat does though there's probably more bad blood between the two because of the manner he left the organization. Either way, this was not a good Heat decision. If this is something they did, then they should also consider Jason Williams, Udonis Haslem, Mike Miller, Ray Allen, Chris Bosh, Bird Man and maybe Hasaan Whiteside.